fun. 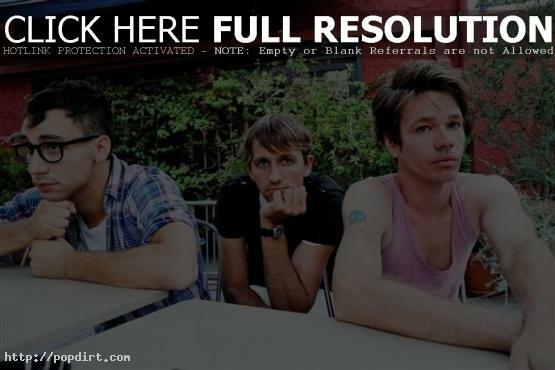 has unveiled their new single ‘We Are Young’, the first from their upcoming label debut album on Fueled By Ramen, due out early 2012. Produced by Jeff Bhasker and featuring Janelle Monáe, ‘We Are Young’ is available now via iTunes and all digital retailers. A video companion piece to the song featuring a girl peeling an apple before cutting herself can be viewed below. The critically acclaimed indie pop combo will celebrate the track’s release by joining their ‘We Are Young’ collaborator, Janelle Monáe, on Reverb’s upcoming Campus Consciousness Tour. The 15-date college tour will hit campuses in the Midwest and along the East Coast through October. The biannual Campus Consciousness Tour (CCT) is both a concert and social consciousness campaign, aimed at offering students a message of environmental sustainability. In addition to supporting Monáe, fun. will take part in the CCT daytime activities by performing a free acoustic set at a central location on each campus the tour visits. Check out complete details and up-to-the-minute information at campusconsciousness.org. fun. will celebrate their new album with a very special sold-out hometown headline show, slated for November 9th at New York’s Bowery Ballroom. A Los Angeles show at the Troubadour is also slated for November 14th. September 25, 2011 Jeff C Concert, Multimedia No Comments fun.